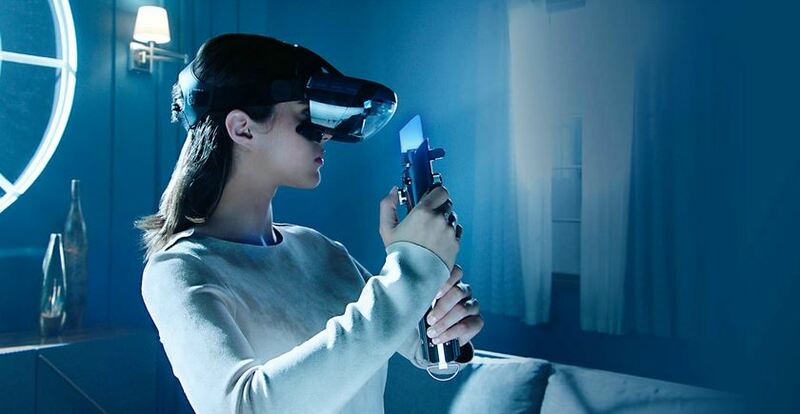 Anyone who has ever watched a Star Wars film has probably wanted to wield a lightsaber and thanks to Disney and Lenovo, you can now do the impossible thanks to Augmented Reality (AR). 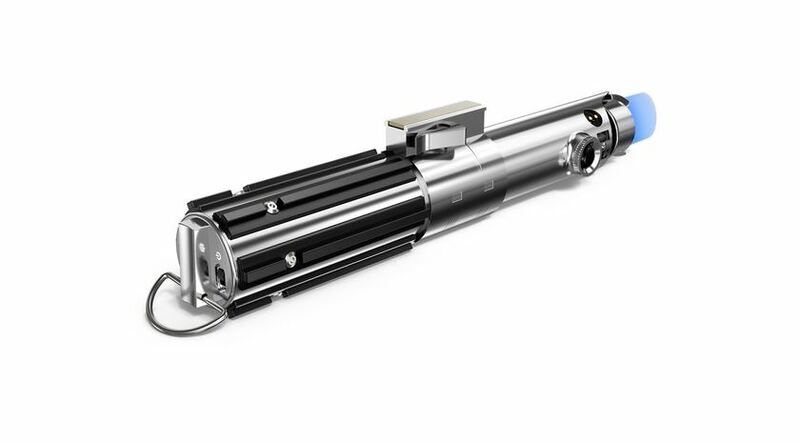 Add in a movie quality replica of the lightsaber hilt, an AR headset, tracking beacon plus a compatible smartphone and you too can wield this more elegant weapon from a civilized age. 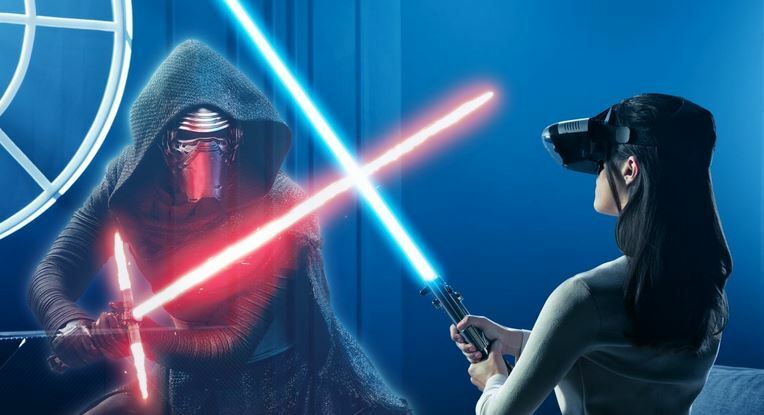 Sure, there are a few steps to follow to get Jedi Challenges up and running but it’s an experience that cannot be missed and best of all, Disney and Lenovo have additional DLC planned to increase the scope of this AR game. 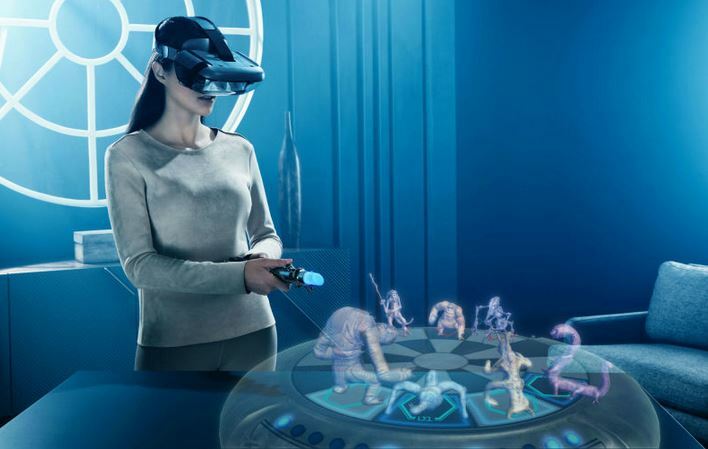 Apart from lightsaber battles which is the main selling point of Star Wars Jedi Challenges, this game gives the player two additional gameplay modes that include Holochess that was seen in Star Wars Episode IV: A New Hope plus a strategic RTS that is like StarCraft but is solely based in the Star Wars universe which are the Trials of Leadership. Needless to say, all three titles are a great example of AR and thankfully all three are relatively easy to control while in-game. 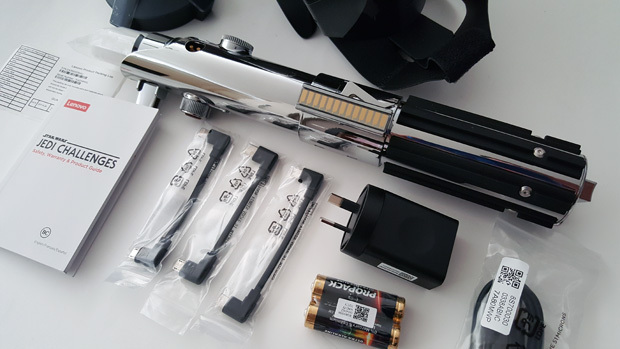 Also, the product is well packed from Lenovo that comes in a Star Wars inspired box which includes everything you need to start playing. 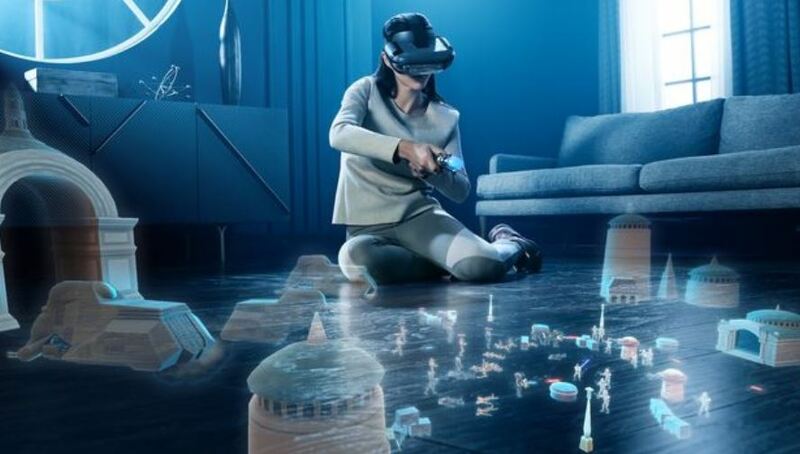 Unlike VR that totally shuts you out from the real-world, AR superimposes a virtual image into our reality courtest of the helmet which means that when you’re engaging in lightsaber battles, you do need quite a bit of space available to you. Furthermore, the headset does a decent job at bringing these villains to life in ‘our’ world like Kylo Ren and Darth Maul. 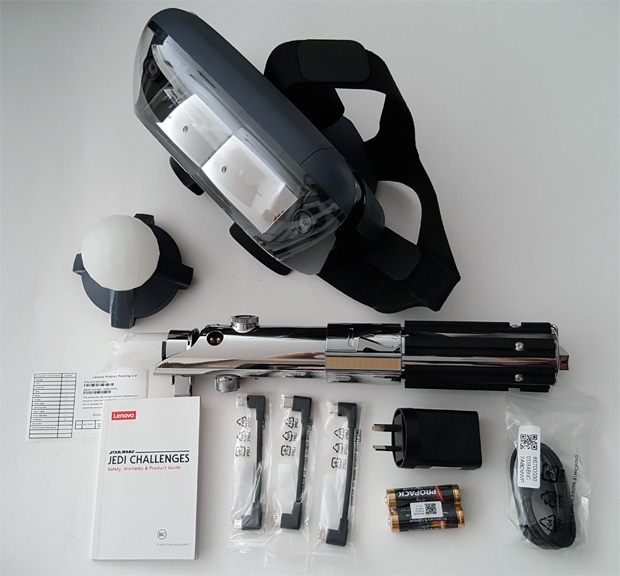 The Lenovo Mirage AR headset also has cameras built into the unit that in conjunction with the tracking beacon, helps track the player in the real-world, including the lightsaber. 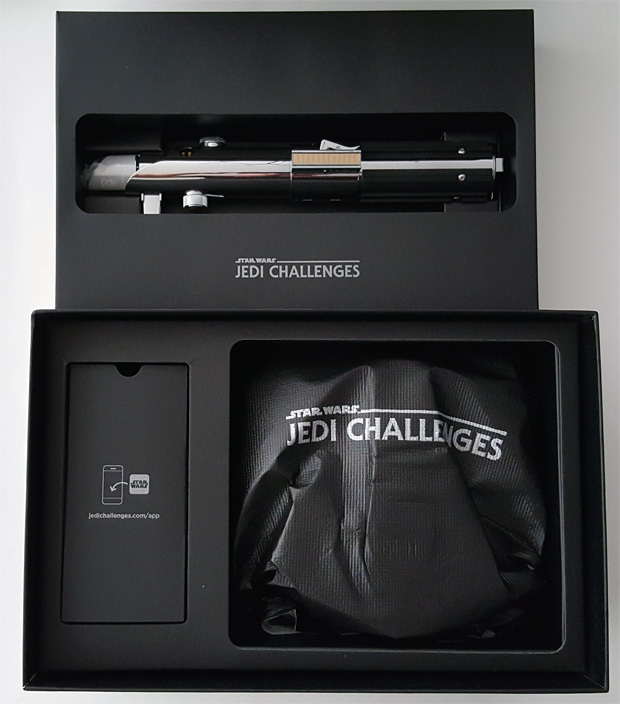 Before you jump into the game, the included instructions helps you set the system up, including downloading the free accompanying app for Star Wars Jedi Challenges. 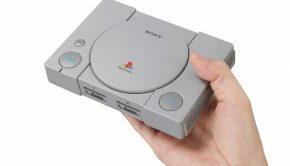 As the game is powered by your phone, one of the newer smart devices may give you a better experience as it will be a higher resolution and maybe even faster. We tested the game on both an iPhone 8 and a Galaxy S7 with both devices working quite good, however the iPhone 8 did have the edge. 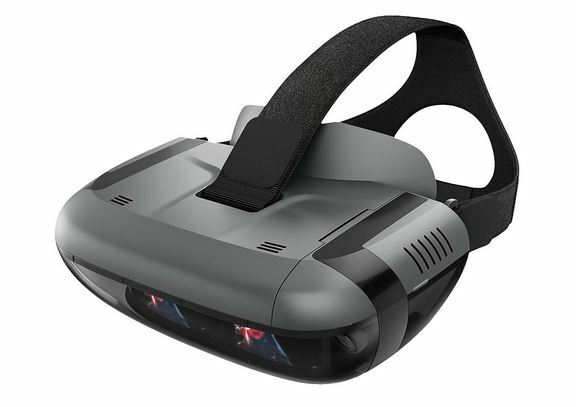 So once the app was downloaded, the included AA batteries inserted into the tracking beacon and the phone was put into the AR headset, we were ready to play. 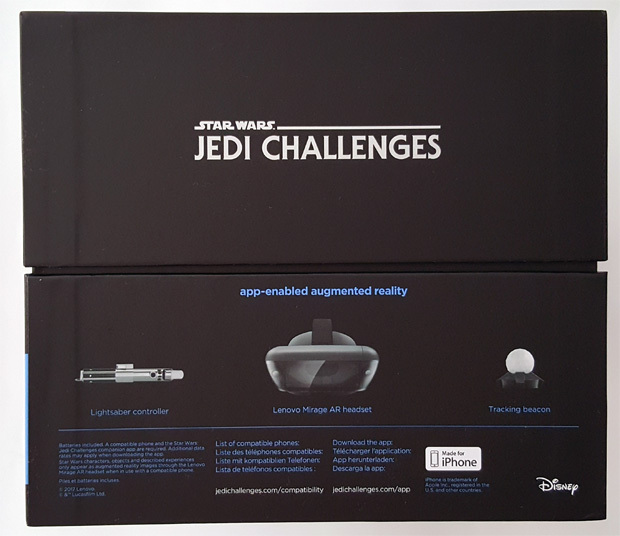 However the most fiddly aspect about Star Wars Jedi Challenges is putting your phone in the tray and then using one of the included phone cables to connect it into the headset. This process is cumbersome at best and does make the headset feel a little top heavy. 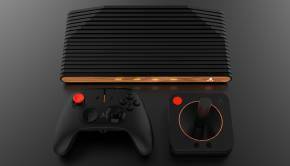 The only additional aspect needed to power this game is a dark room in order to see the projected image. 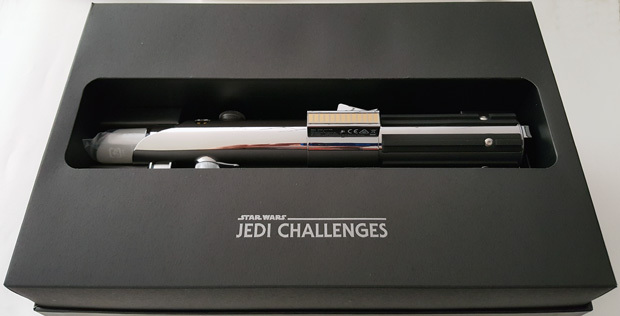 Nonetheless, it’s all worth it and once I was in this ‘virtual’ world, I was ready to experience the game, Star Wars Jedi Challenges. But before I jump into the three titles, I must admit that the graphics through the app is quite impressive, particularly when you’re going head to head with the villains and lightsaber effect is equally impressive. 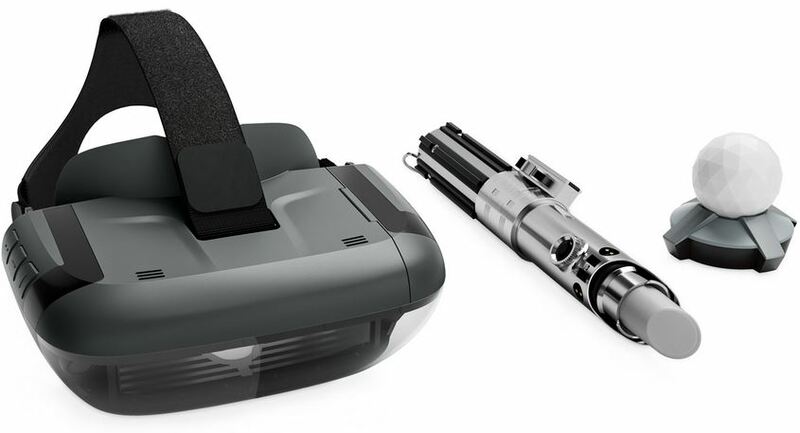 Audio is emitted through the speakers in the headset which celebrates the sound with all the Star Wars regalia. The interface is a little clunky in terms of accessing the menus and hopefully Lenovo will address this in the future… also some people may get a little AR sickness. 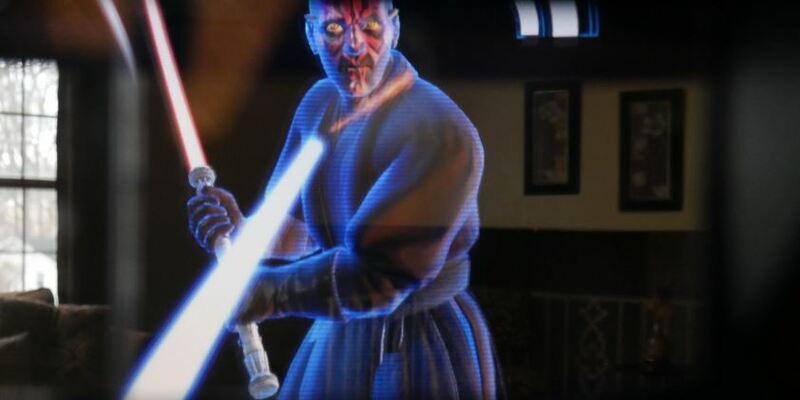 The battles with the lightsaber were fun as you took on a variety of enemies plus some Sith Lords. Just be aware that you can’t go all gun-ho and swing like a crazy person because there is some strategy involved, including blocking incoming attacks or blaster shots. Thankfully the player is guided through the game by the Archivist who is basically a virtual hologram. So as I fought like a ‘Jedi Master’, it was fun taking out these droids as I deflective their shots, cut them in half and then went head to head with a Sith Lord, including Darth Vader himself. 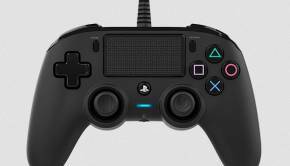 One little quirky gameplay issue was that the lightsabre ‘blade’ did become off-centred at times but there is a button on the device to realign. Even so, it was still a very enjoyable experience as I took on these enemies and for the most part defeated them, including use some force powers like the push to knock over Storm Troopers and Battle Droids. Holochess is also a fun experience as the game mimics the game from Star Wars in this rock paper scissors title. Sure, it’s a little lacking in terms of gameplay but a nice showpiece of what AR can achieve. Lastly there is Strategic Combat which as mentioned is an RTS version of Star Wars which puts you in the role of commander as you build and control units on the battlefield. It’s definitely more engaging than Holochess and is quite fun as you see your units move in the ‘real-world’ and take out your enemies. 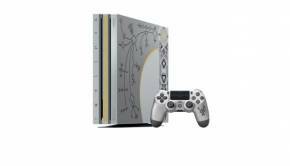 The controls also work well for both these aforementioned games as you use the saber and its buttons to move your units and attack your foes. 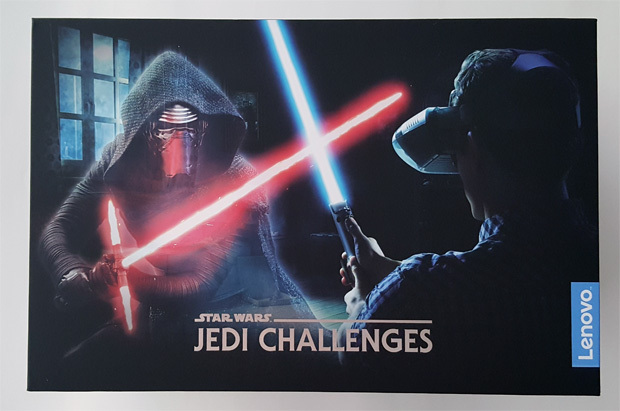 Star Wars Jedi Challenges is a very clever game that really showcases the technology of augmented reality and more importantly, it’s from a Star Wars perspective. 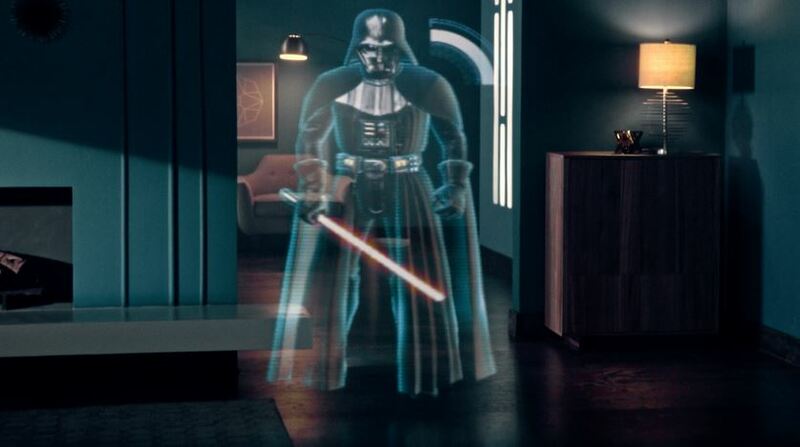 Kudos to both software and hardware developers for giving us a full-size light saber hilt that with the magic of AR looks like it comes to life. Graphically, it’s a good looking game, albeit a little cartoony and the audio is great but overall, a great Star Wars experience and Holochess and Strategic Combat give the player some additional fun in this rather expensive package. 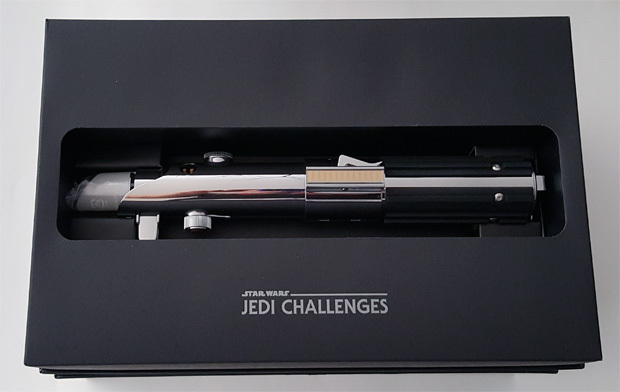 With a recommended retail of $399, it is a pricey game give the content, however it’s currently on sale for $299 which is a much better price and with additional DLC coming for the app, this might the perfect time to purchase Star Wars Jedi Challenges.